Are you a vegan searching for some of the best Protein rich vegetarian food in India? If yes then let me show you some of the best options available to you as a vegan Indian. Proteins are extremely important to build muscles, repair the wear and tear of muscles and overall well-being. The challenge that an average vegetarian who wants to lose weight or build muscles always face is with the food or diet in other words. Not all vegetarian edible items are protein rich and trust me it becomes really very hard when you are on a mission to gain muscles. Everyone knows that to gain muscles you need to have a diet rich in protein. In fact not only to gain muscles but for overall well-being protein is a mandatory element. 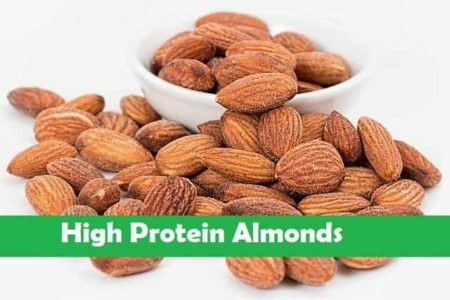 I have managed to compile a list of top vegetarian protein rich food options available here in India. If you are a vegetarian and want to consume an Indian vegetarian protein rich food then soya is the go to food for you. It’s extremely high in protein, so much so that it exceeds the protein content in Eggs. 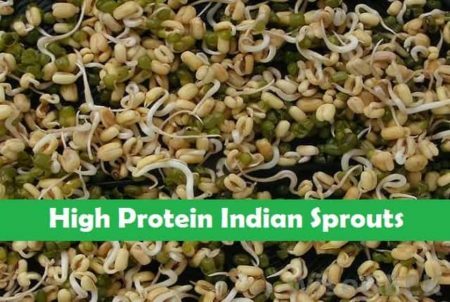 Along with its high protein content it’s extremely rich in Vitamin K, Riboflavin, Phosphorus, Potassium, Copper, Magnesium, Zinc, Vitamin B6, Vitamin C, Calcium and Selenium. Modern day health industry have now realized the effectiveness of Soya, therefore one shouldn’t be surprised to see multiple soya based protein supplements. Here are some well-known benefits of Soya Chunks. How to eat: Eat it without high carb roti’s or chapattis as we don’t want to give carbs to our body. Here is a quick way to make Soya fry. 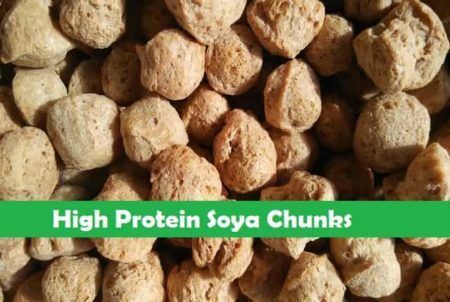 To make Soya chunks follow these 5 simple steps. Step 1: Soak the Soya chunks in a water by adding a pinch of salt and leave it for 15 minutes. Step 2: Heat the pan and put some Oil to it until the Oil is heated. Step 3: Now put the Onions and sauté it for a while, then add some ginger and garlic and saute it for a while. Add chopped Tomatoes and keep sautéing it. Step 4: Now add all the spices, mix it well and keep sautéing it until the onions and tomatoes are nicely cooked. Step 5: Put soya chunks in the Pan and mix it thoroughly, cook for next 4-5 minutes and your 100% Indian vegetarian protein rich Soya chunks are ready. Garnish is with coriander leaves. 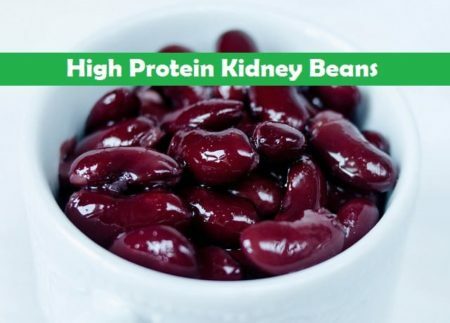 Along with its high protein contents Kidney beans are loaded with Folates, Manganese, Copper, phosphorus, Potassium, Magnesium, Thiamine, Calcium and zinc. Reduction is Cholesterol levels: Regular consumption of Kidney bean lowers the serum cholesterol as well as Bad cholesterol. Diabetic friendly: Kidney beans have low glycemic index, it means the release of glucose into the blood stream will be gradual and not sudden. Anti-Cancer: The anti-oxidants in this humble food prevents and fights cancers as well as free radicals. Weight Loss: Consuming kidney beans keeps you full for longer duration, thereby suppressing the hunger. Regular consumption of Kidney beans helps to lose weight in long run. To implement Kidney beans in your daily diet you can simply consume it by boiling it and then sprinkling chaat masala over it. Or else you can also make rajma or Kidney beans chaat for yourself. Here is how to make a simple Kidney beans chaat for your breakfast, lunch or evening snack. That’s all that you would need to make a simple Kidney beans chaat. To make this High protein Indian food follow these 4 simple steps. Step 2: Take a bowl and mix all the masala’s mentioned above. Step 3: Garnish it with chopped coriander leaves. Your protein rich Indian food is ready. While consuming this, try to avoid the intake of carbs as it will ruin the whole process. There are many types of chickpeas and they come in different shapes and sizes. Having said that all forms of chickpeas are edible and equally nutritious. Chickpeas, especially the black ones are loaded with proteins and fibers. Consumption of chickpeas not only gives you protein but also increases the endurance. In Indian culture, there is common practice to drink water soaked with black chickpeas overnight. This therapy is known to increase the endurance. 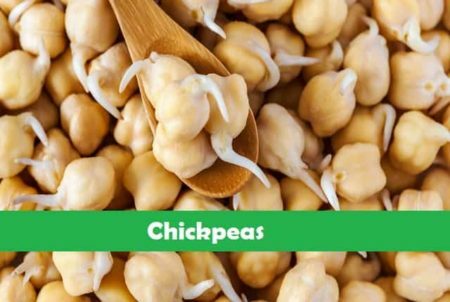 Furthermore, Sprouted chickpeas are even more potent, all you need to do is soak the chickpeas and the moment you see that it’s sprouting, you can cook it. This will not only give you much needed vegetarian protein but also gives you some serious health benefits listed below. How to eat: Eat it without high carb roti’s or chapattis as we don’t want to give carbs to our body, If you want chapatti with it, then try to eat quinoa or soya flour chapatti. Simplest way to implement chickpeas in your daily diet is by either having it in lunch such as Chana masala, Chana paneer masala or Simple Chana chaat. I prefer having it as Chana chaat as it’s easier to make and easy to implement as evening snack or morning breakfast. Here is how I make Chana chaat. Once you have the above ingredients ready its super easy to make this protein rich vegetarian chaat. All you need to do is take a bowl and mix all the above ingredients thoroughly and your Chana chaat will be ready in 2 – 3 minutes. Have this mixture either for breakfast or evening snacks, avoid this at night. Milk is highly under rated when it comes to high protein diet. Yes it’s true that milk is also high on fat but consumption of milk in limited quantity can bring tons of health benefits. And not to forget, food items such as Paneer, cheese and yogurt are make from Milk. Therefore there is no harm at all to consume a cup of milk a day. This will help you to keep your bones stronger, reduce bad cholesterol, boost metabolism and provide much needed essential fatty acids. I recommend cow milk to be the best since it has less fat contents as compared to buffalo milk. When consuming milk, don’t consume it with coffee or tea, instead consume it a pinch of cinnamon. Don’t consume hot milk at night as it will cause bloating and gas, instead consume cold milk, if you are suffering from sinusitis then consume milk with a pinch of turmeric powder. You can have milk for breakfast, but don’t combine it with junky carbs such as white bread and items made from white flour. Always try to consume skimmed cow milk and avoid buffalo milk, as it’s prone to increase weight. How to Drink: Always try to drink skimmed milk in the morning with a pinch of cinnamon for optimum output. 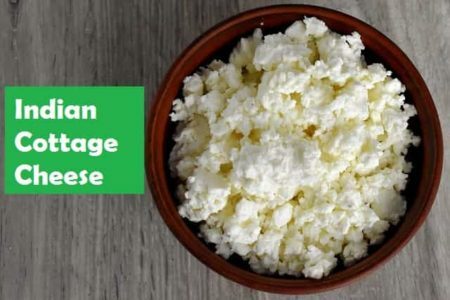 Cottage cheese or Paneer in hindi is a high protein Indian food made from milk. This nutritious food not only helps you to lose weight but plays a key role in reducing the bad cholesterol and triglyceride levels from the body. Paneer is high on dietary fibers and loaded with essential fatty acids that helps to boost body’s metabolism. Consumption of paneer thrice a week not only gives you optimum supply protein but also gives you tons of calcium supply. This protein and calcium balance is much needed to maintain the body mass index and the bone density. As we age, the effects of aging tends to show in our bone by producing symptoms such as arthritis, low bone density and so on. Have 50 – 100 grams paneer per session for 2 – 3 days to stay in good shape. How to Eat: When consuming paneer, make sure you don’t give your body carbohydrates, this won’t serve the purpose. The reason you are consuming paneer is because you want to give your body Low carbohydrates, high fat and High protein. This simply ignites the ketosis process. You can find more on Indian vegetarian keto diet here. There are hundreds on recipes out there, simply pick up any of them and go ahead with it. But make sure you don’t give carbs to your body. The one that I like is Tawa Paneer. To make tawa paneer you would need below ingredients. If you have these ingredients at your kitchen, then you can make your protein rich tawa paneer in 3 easy steps. Step 3: Heat the nonstick pan, put some oil. Step 4: Fry the paneer evenly on all the sides until it’s nice and golden. Your protein rich Indian vegetarian food is ready to be consumed. Serve it with green chutney and spring onions to make it look delicious. Just like Paneer, cheese is also made up of milk. Now I got to say there are hundreds of varieties of cheese out there so don’t fall for it. Get a simple cheese made from cow milk or buffalo milk and that should do the trick for you. Even a normal standard cheese is loaded with essential fatty acids, Vitamin A, B12, D, Calcium, Zinc, Phosphorus, Potassium, Folate, Iron, Magnesium, Niacin, Thiamine, Riboflavin and so on. So if you are consuming cheese only as a protein supplement or as a good fat, it will also gift you some of its healthy by products. Best time to Eat: Morning breakfast or Afternoon, avoid at night. How to Eat: Always try to eat it Raw i.e. try not to cook at high temperatures. Furthermore, if you want to eat it with your sandwich then make sure you are not using white bread, instead make a brown bread sandwich. I won’t’ write a recipe here, since you can make multiple cheese items like cheese pakora, Cheese sandwich and so on. Having said you can implement cheese in your daily diet by simply grating it and sprinkling over your favorite foods like soup, Paneer bhurji, palak paneer or any item that you like. As I said if we cook cheese at high temperatures, the goodness is lost. Frying at high temperature makes it carcinogenic and instead of good fats you end up consuming truckloads of triglyceride, which is extremely bad for health. This had to be a part of my list of top protein rich vegetarian food in india. In today’s date Makhana is the most frequently prescribed food items by dieticians. Even Kareena Kapoor praised the benefits of Makhana and how it helped her to lose weight. Makhanas also known as Lotus seeds make an excellent high protein snacks. In northern part of India it’s common to see people consuming roasted Makhanas as a snack or even in the lunch. 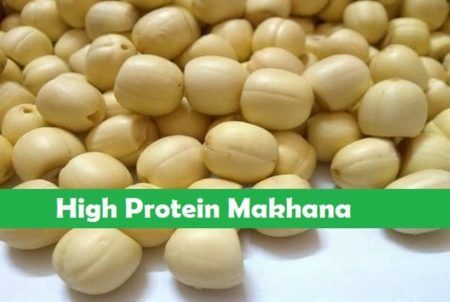 Just like its other counter parts above, Makhanas are extremely rich in protein, calcium, Magnesium, Potassium, Phosphorus, Zinc, Iron and essential multivitamins. It’s popularly known as fasting food and its fat burning properties. Therefore if you are on a mission to lose weight then all you would need is a handful of makhana thrice a week. Best time to Eat: Morning breakfast, Evening snacks and late evening snacks. But Avoid Makhanas at night. How to Eat: Consume it in Roasted form, Overcooking ruins the nutritional content of Makhanas. I am a big fan of keeping the natural nutritious food to it original form. Having said that its not always possible to eat all the food items raw. Therefore as a last resort I recommend you to have Makhana’s in roasted form. To make roasted Makhana you would need below ingredients. That’s all you would need to make the roasted Makhanas. To make roasted Makhana follow these 3 simple steps. Step 1: Start by heating the Pan, followed by adding Makhanas to it. Step 3: Add all the masalas and sauté it well for a minute or so. Your roasted Makhanas are ready. You can have this Protein rich vegetarian snacks anytime you feel hungry. Its always better to consume a healthy snacks rather than consuming cookies, biscuits or vada paav. Chia seed is also known as Salvia Hispanica. It is the fiber content and high anti-oxidant levels of chia seeds that makes it highly result oriented and popular amongst dieticians. This humble seed hosts boat loads of Omega 3 Fatty acids, Proteins, Antioxidants, Selenium, Magnesium, Phosphorus, Multivitamins and many other essential fatty acids important to keep our body in healthy state. Moreover, the protein and nutrients provided are totally plant based thereby benefiting you in longer run. Great source of Omega 3 fatty acids (Very limited vegetarian food has this). Best time to Eat: Morning breakfast, Evening snacks and late evening snacks. Avoid high proteins at night. How to Eat: Consume it in Roasted form, Overcooking ruins the nutritional content of seeds. You can implement chia seeds in your diet by consuming it in roasted form. If you are having upma then simply sprinkle some roasted chia seeds on your upma to make it crunchier and tastier. Likewise you can sprinkle some chia seeds on any food items that you are comfortable with a there are no hard and fast rules for it. 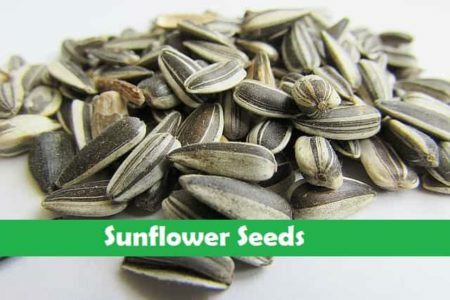 Sunflower seeds are powerhouse of Thiamine, Vitamin E, Copper, Phosphorus, calcium, Folates, Magnesium, Vitamin b complex and vital fatty acids. In India it’s commonly consumed as a snack and known as “Surajmukhi ke beej”. Implementing sunflower seeds in your daily life can give a constant supply of much needed protein to your body. How to implement this protein rich food? You can simply roast it and have it, there need not be any special preparation for this. Anytime you make a laddu or breakfast item such as Makhana, Upma or poha, simply sprinkle some sunflower seeds over it, this way you can add some extra proteins to your food. Best time to Eat: Best time to eat this is between your breakfast and dinner. Alternatively you can have if in the evening as a snack. It works best in the morning time when the acids levels in the body is at its top. When we talk about peanut butter we generally think of it as high fat food. But did you know this is exactly what your body needs. A spoonful of peanut butter with high fiber brown bread can make an excellent food if you want to go on a High protein Indian vegetarian diet. When it comes to protein content, Peanut butter simply outweighs its other counterpart. So much so that 4 spoonful of peanut butter is as potent as Paneer, Soya or Makhana. But make sure, the peanut butter is organic. 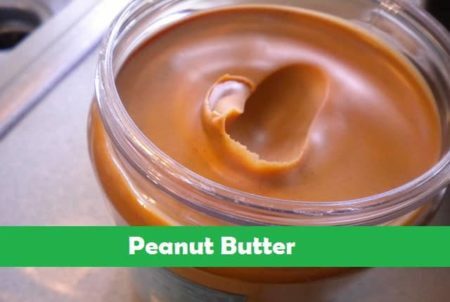 Peanut butter is actually made from peanuts and contain tons of nutritional value, its loaded with Vitamin A, Vitamin B complex, Vitamin C, Vitamin E, Manganese, Phosphorus, Selenium, Copper, Zinc, calcium, Thiamine, riboflavin, Folates, Niacin and more importantly it’s a Protein powerhouse. How to Eat: Eat it in uncooked form, Overcooking will ruins the nutritional contents in it. How to implement this Protein rich vegetarian food in your diet? Again, this one too does not need any special preparation. Implementation can be as simple as spreading this protein rich butter in a slice of high fiber brown bread and having it as a breakfast. Likewise you can spread some peanut butter on your quinoa or soya flour roti and have it as a breakfast. This will give you same amount of protein as you would get in a non veg diet. Almonds are extremely common food that you would find in any diet chart. It simply blends with all forms of diet. 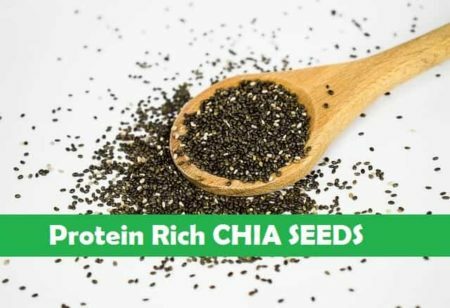 So if you are on a weight loss mission of high protein diet then you simply cannot ignore this powerful seed. Just like its other counterparts in seed family Almonds also gives you tons of Vitamins, minerals and essential fatty acids. Best time to Eat: Drink almond water in morning on empty stomach followed by chewing the almonds. You can also have it in evening or before bed. Almonds generally goes well with upma, Kheer, sheera, halwa and many Indian dishes. Having said that there is a secret trick that you can use to make it even more effective, i.e. soak the Almonds in a glass of water overnight and drink the water empty stomach every morning. After a gap of 30 minutes eat the almonds too. This will give a twofold boost to your metabolism. Furthermore, you can even have 4-5 almonds in the evening as a snack. Walnuts are popularly known for its good fat contents. 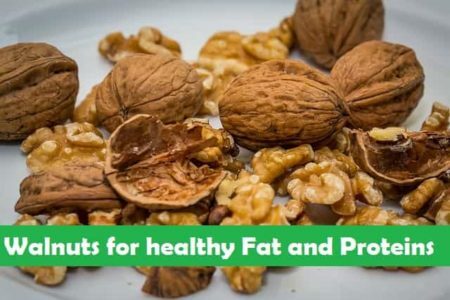 Walnuts can be an excellent fit for you if you are on a keto diet where the requirement is to give your body healthy fats and cut the carbs. Having said that what you may not know is that walnuts do have a decent amount of protein that helps to keep the muscles smooth and relaxed. Nutritional content of Walnuts are interesting, it’s actually 65% Good healthy fats and 15% protein. This gives an excellent balance of fat to protein ratio. Regular consumption of walnut helps to keep your heart arteries clean as well as keep you energized. Best time to Eat: Best time to eat this is early morning before breakfast. You can also have it in evening or before bed. Since Walnuts are from nut family you don’t require any special preparation of this. You can consume two to three walnuts at one go without any fillers. In case you want to consume it as a breakfast then simply add it to the bowl or Oats, Upma or poha. It’s highly versatile and goes well with majority of the dishes. The major difference between a pistachio and other nuts are its noticeable potassium and protein content. 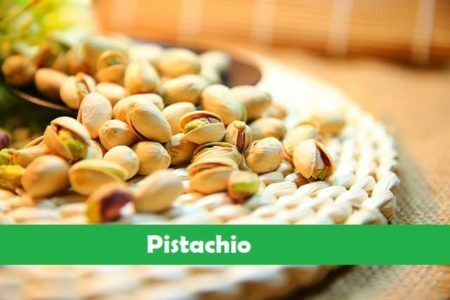 One cup of pistachio can give you approximately 25g of protein and 1300mg of potassium, that’s huge. Having said that you shouldn’t be consuming one cup of pistachio in a day. Only a few of them should suffice. How to Eat: Eat it in uncooked form, Overcooking will ruin the nutritional contents in it. Pista is highly versatile therefore you can have it by simply roasting it. Having said that consuming pista’s in various different ways can give different results. For example if you are suffering from poor metabolism or poor digestion then simply consume pista with a pinch of saunf. Similarly if you want to gain maximum protein then consume pista milk. To make pista milk you simply need to crush 9-10 cloves of pista and mix it a glass of milk. If you are following a high protein Indian vegetarian diet then Pista has to be in your list. Inclusion of pista in dishes like Kheer, sheera, Upma, Poha, Chutneys and many other Indian dishes can be an excellent way to get health benefits that this humble seed has to offer. Greens are essential for our body. Every individuals must have certain section of greens included in their diet. 100 grams of broccoli gives around 2.8g of proteins. Don’t go by the numbers, a green smoothie made from broccoli tones and stimulates the liver, which in turn benefits us with better nutritional absorption. Consumption of broccoli in form of vegetable or smoothie helps our body to better absorb calcium and proteins. Broccoli is not only loaded with essential amino acids but also gifts you considerable amounts of folates, Magnesium, potassium, Phosphorus and multivitamins. Furthermore, antioxidants such as “kaempferol” helps to fight aging and acts as an anti-inflammatory agent. Best time to Eat: Anytime. How to Eat: Best results are expected when eaten in uncooked form, Overcooking will ruin the nutritional contents in it. Either make a broccoli sabji and have it with quinoa or soya flour roti (this will give you optimum protein supply) or consume it in form or green smoothie. To make green smoothie all you need is Broccoli, half a carrot, Spinach and half a tomato. Simply blend it and have twice a day. 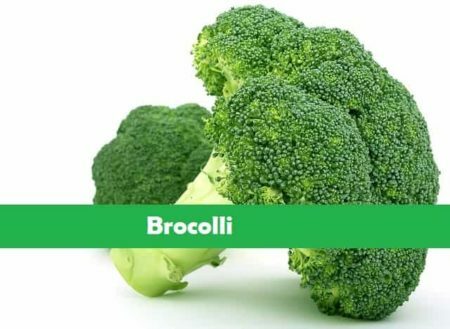 This will not only give you the proteins from broccoli but also help you with the goodness of huge supply of vitamins and essential nutrients. This high protein food item is not from Indian origin, having said that I have still included it in this list since this can be a perfect choice for those who are seeking an alternatives to wheat. Switching from wheat to Quinoa completely transforms the diet. Quinoa’s are extremely rich in protein way better than a standard wheat roti. Therefore if you can make quinoa roti’s or chapatti it far exceeds the benefit that you would derive from a standard wheat. Furthermore, latest study shows that even excess wheat consumption are not good for diabetics, on the other side Quinoa is an excellent food even for diabetics. So if you are on high protein Indian vegetarian diet then inclusion of Soya flour and Quinoa flour roti is a must. Best time to Eat: Breakfast or lunch. How to Eat: Best results are expected when eaten by making a roti or paratha out of it. Simple way to implement Quinoa in your daily diet is by having it in form or roti or chapatti. To make quinoa roti all you need to do is make a dough, if the dough is not formed easily then you may also add ¼ of soya flour. Make a dough and let it rest for 30 minutes or so. Then make roti, chapatti or paratha. You can have this chapatti with high protein sabji such as soya bean kheema or palak paneer. Get 19g of proteins for each 100 grams of Pumpkin seeds you consume. Yes that’s right, pumpkin seeds are protein powerhouse. Not only proteins but pumpkin seeds also gives you much needed essential omega 3 fatty acids which helps to strengthen the nervous system and boost your memory. 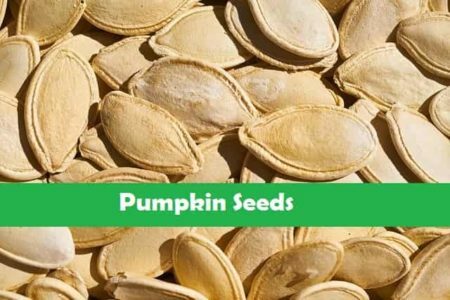 Furthermore, consumption of pumpkin seeds over a period of time helps to keep your heart, Liver and Kidneys in good shape. Along with high protein contents, Pumpkin seeds gifts you essential amino acids, Vitamin A, B, C, D, Magnesium, Manganese, Phosphorus, Iron, Zinc, Copper and extremely high quality dietary fibers. These little seeds are loaded with potent anti-oxidant called carotenoids. This anti-oxidant helps to reduce inflammation and fights aging. Not only aging but it also helps to scavenge free radicals and detoxifies the liver. Best time to Eat: Between your Breakfast and lunch or at evening as a snack. Try to avoid this at night. How to Eat: Eat it in raw form to derive maximum benefits. There is no hard and fast rule to implement this in your daily diet, therefore you can eat it dry, roasted or raw form. 100 Grams bowl of oats without any fillers such as milk or nuts gives you approx. 17g protein. This healthy food becomes even more protein rich when combined with milk and dry fruits such as Almonds and walnuts. Being extremely high in proteins, Oats are versatile too. 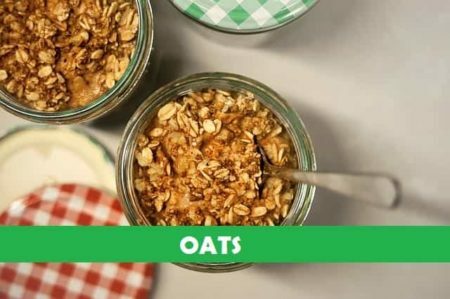 There are hundreds of ways you can make oats. Oats is not a native Indian food, having said that it’s now extremely common to see people tilting more towards Oats. Generally people have oats as their morning snack and I would say those who do that they got it absolutely right. The best time to consume oats is during breakfast. Oatmeal when cooked in Indian style becomes a High Protein Indian vegetarian food i.e. Oats Upma, Oats Kheer or Oats Roti. Best time to Eat: As your Breakfast, lunch, evening snack or even at dinner. How to Eat: Pour half a glass of skimmed milk followed by few almonds and walnuts. Mix everything with honey and your protein rich breakfast is ready. I won’t list down the ways you can implement Oats as it can be implemented in form of Roti’s, Upma, Kheer or as a standard breakfast by mixing it in milk. 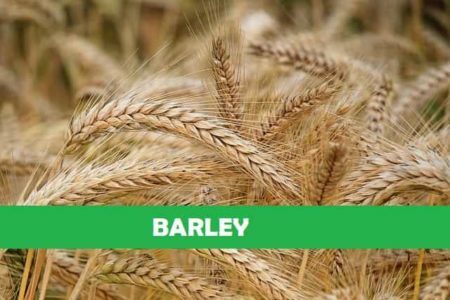 Barley has lesser amounts of protein compared to Oats or Quinoa and it’s less popular too. You get around 12g of proteins per 100 grams consumed. Don’t fall for this number since quinoa and oats are difficult to be prepared as a roti. On the other side you can make barley roti just as you would make wheat roti or chapatti. Simple Barley roti with soya bean kheema can give you an excellent protein punch, so much so that it exceeds the amount of proteins that you get in egg. Barley roti and sabji makes a typical Protein rich vegetarian food in India, especially in the northern side of India. How to Eat: Eat it by making a chapatti or roti along with a low fat sabji. A single serving of 100 gram Green Peas give approx. 5g of protein. Even though the number look low as compared to its other counterparts, it beneficial in many other ways too. Inclusion of Green peas in your diet benefits you many way, this food comes with a perfect blend of carbs, protein and starch. 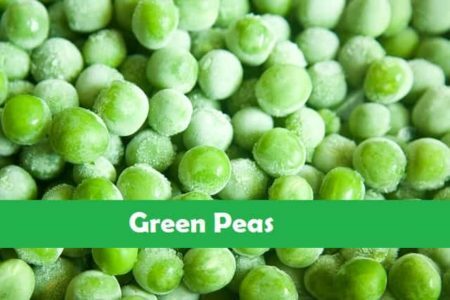 Green peas are extremely tasty and goes with pretty much all the Indian dishes. To boost the protein content, simply make a green peas sabji and have it with Quinoa or Soya roti. Addition of quinoa or Soya roti increases the overall protein content. Apart from its respectable protein contents this vegetable is popular for its other health benefits too. How to Eat: Eat it by making a Sabji along with chapatti or roti made from Barley, oats, Quinoa or Soya flour. To boost the effectiveness of this Indian vegetarian protein rich food consume it in form of matar roti made with quinoa or barley flour. When it comes to protein there are limited choices, as not all the veggies have high amounts on Protein In it. 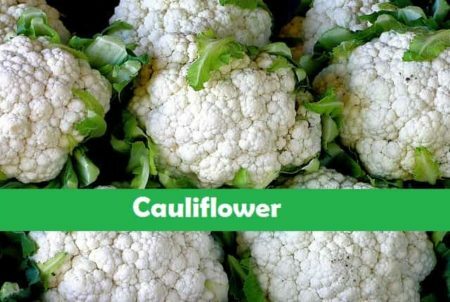 Cauliflower is one of the veggies that have approx. 2g of protein per 100 grams of serving. Even though the amount of protein is visibly low as compared to its other counterparts, it’s extremely low on fat and carbohydrates, thereby making it a perfect ketogenic food for vegetarians. Cauliflower in hindi is also known as “Phool Gobi” and is extremely common in northern part of India. This Phool Gobi or Cauliflower offers some essential anti-oxidants such as carotenoids and tocopherols. These antioxidants helps you stay young and fit. Contains Potassium, manganese, Riboflavin, Folates, Thiamine, Magnesium, Phosphorus and tons of other minerals. Consumption of green veggies along with cauliflower is known to reverse the aging and provide a much needed balanced meal. Best time to eat: Lunch or evening snack, Avoid this at night since it’s prone to increase acidity or alleviate gas related problems. How to Eat: Eat it by making a Sabji along with chapatti or roti made from Barley, oats, Quinoa or Soya flour. For snacks you can make it in roasted tandoori style. I have not listed any recipes since, there are no hard and fast rules to cook this, make sure you boil the cauliflower thoroughly before making any dish mainly for two reasons. This will help to kill the germs, as its highly prone to come along with worms and germs that you cannot see. Boiling will help to get rid of the extra Gas that it can produce once you consume. While having this high protein Indian food try to avoid high carb stuff like wheat roti or rice, instead go ahead with brown rice or Quinoa roti. Apricot just manages to make on my list of top protein rich vegetarian food in India due to its average protein content. 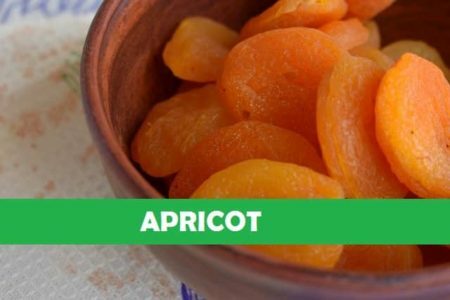 A single serving of 100 grams of Apricots give approx. 1.4g of Proteins. While this fruit is not astoundingly high on protein contents, it benefits a lot in many different ways. The anti-oxidants such as Hydroxycinnamic, Quercetin, Catechins, Proanthocyanidins and Epicatechins in this powerful fruit is so beneficial that it has shown the signs of reversing cancer. In many countries people use apricot seed to just fight and cure cancer. Consumption of this fruit helps you to absorb calcium and proteins way better than it would absorb normally. Best time to eat: Eat Apricot as a Breakfast item, Morning Snacks or evening snack. How to Eat: Eat it raw by cutting it into pieces. You can even mix Apricot with salads to make it more delicious. A 100 grams of Banana gives 1.1g or protein. It has extremely low protein quantity when compared to even apricots. Having said that it’s a smart choice to include bananas in your diet since it has some amazing qualities. 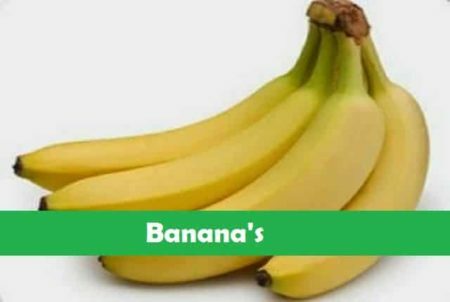 So not only protein, look at the overall benefits of this humble food, consuming a banana every day will help you to lose weight and maintain healthy BMI. This fruit is not native to India, however I have included this in my list because it was simply irresistible looking at the ease of availability. Avocado fruit is high on Fat and gives respectable amount of proteins per 100 Grams. A single 100 Grams serving of Avocado gives around 2g of high quality protein. Having said that, avocados are not famous for its Protein content, instead it’s famous for high quality fat. This powerful fruit makes an excellent fit for any ketogenic diet due to its high fat and low carb contents. 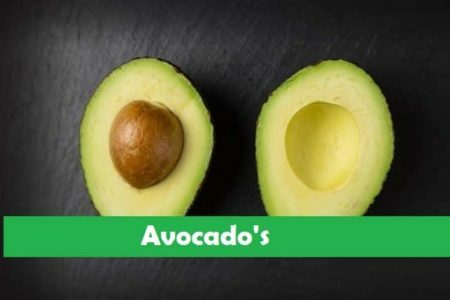 Apart from proteins, avocado is a factory of Vitamin K, Folates, Vitamin C, Potassium, Vitamin B5, Vitamin B6, Vitamin E, Phosphorus, Potassium, Magnesium, Manganese, Niacin and Thiamine. Best time to eat: You can eat is as Morning Breakfast, Lunch or Dinner. How to Eat: Eat it by making a chutney of slicing it over salads. In western diet, Avocado is used in many dishes such as in Salads, alternatives to butter, Chutney and many more. In India too avocado’s make an excellent alternative to Butter. To make a creamy avocado paste, peel off the skin and cut the avocado into pieces. Then remove the seeds and put it in the blender, blend it thoroughly by including a pinch of salt and half a teaspoon of ghee. And your avocado paste is ready. Simply apply this paste on full grain brown bread or quinoa roti and have it as a breakfast, amazingly helpful when on a keto diet regimen. This is my favorite, roasted Chana are high on proteins. Each 100 grams serving of black Chana gives approx. 9g protein. So eat a handful of Chana a day to get the optimum protein dosage that your body needs. 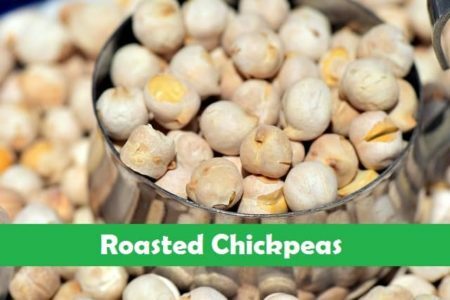 Roasted Chana is excellent for weight loss, cardiovascular health, diabetes, Thyroid, Leukoderma and suppressing unnecessary hunger pranks. Being high on protein is not the only quality of chana, it’s also loaded with Potassium, magnesium, Vitamin A, B complex, Vitamin D and E.
Best time to eat: You can eat as your Morning snack or even as you evening snack. How to Eat: Eat it by simply roasting it. Read: Benefits of roasted Chana and ways to use it. There are many types and definition of sprouts here in India. The best type of sprouts to consume are those that have multiple varieties in it i.e. sprouted chana, sprouted moong, Sprouted chawli and so on. On an average 100 grams serving of sprouts give more than 3g of proteins. Best time to eat: Morning breakfast or evening snacks. How to Eat: Have it in boiled form by sprinkling some chaat masala and lemon juice over it. Soak your Moong, Chana, Chawli and other forms of lentils in water until it starts sprouting. Once you see the sprouts simply boil it and consume it by sprinkling chaat masala and lemon juice over it. To make it delicious you can even mix the sprouts with chopped onions, tomatoes and red chili powder. Remember, when you consume sprouts avoid processed sweets, sugar and carbohydrates. Urad dal is a protein Powerhouse and to some extent a staple food especially in Punjab region. A single 100 grams serving gives approx. 25g of high quality protein. Due to its high quality antioxidants and Iron content, it helps to fight aging and keeps you energetic. Furthermore, these black dal’s are loaded with quality high fiber, therefore making it an excellent Plant based protein rich food for diabetics. In India this protein rich vegetarian food is generally consumed as a Dal. Therefore it makes a perfect alternative to your regular dal. Even though your regular dal is also a protein powerhouse this black dal is just a level up. Best time to eat: Eat only at lunch and avoid at night. How to Eat: Have it as a dal for best results. 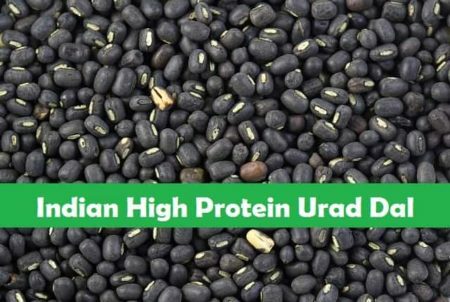 How to make high protein Urad Dal? Once you have these ingredients ready, you can make your high protein dal in 5 easy steps. Step 1: Boil the dal for 6-8 whistles in a pressure cooker. Once the dal is boiled or cooked evenly, start making your tadka. Step 2: Start by adding two tablespoon oil in a kadai. Step 3: Once the oil is heated, start adding jeera and let it crackle. Now add the bay leaves, Followed by dry red chilies. Sauté it for 10 seconds or so, then add chopped onions and mix it well. Keep sautéing it for a minute or so, now add chopped green chilies, followed by finely chopped ginger garlic. Keep Sautéing it until the onions are golden brown. Now add the tomatoes, sauté it well for 30 seconds. Start adding the masalas one by one. Mix the masala’s thoroughly and cook it for next 3 – 4 minutes. Step 4: Now add the dal in the kadai on which you made the tadka and let it cook for 5 – 6 minutes. Step 5: Garnish the dal with chopped coriander leaves and serve with high protein roti such as quinoa or soya flour roti. Having this with quinoa or soya flour roti make it the most Protein rich vegetarian food in India. Just like its other counter parts Moong dal too are loaded with tons of protein. A single serving of 100 grams of moong dal gives around 24g of high quality plant based protein. If you are a vegetarian body builder and rely solely on vegetarian protein source, then this is your go do health drink (By way of dal). Moong dal cooked along with spinach also makes and excellent High protein Indian vegetable dish. 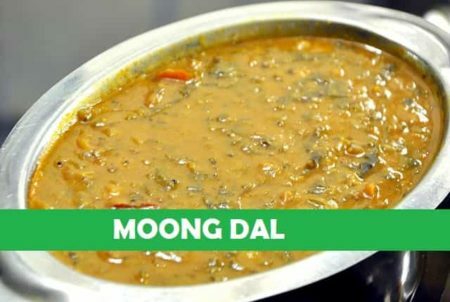 Moong dals not only floods you with high protein contents but it has some serious health benefits. The best and easy way to include this protein rich Indian food in your daily diet is by making a bowl of dal. You can simply make a bowl of moong dal and have it with quinoa or soya flour fox maximum protein punch. You can easily make this protein rich dal in 6 easy steps. Step 1: Add two tablespoon oil in a cooker and heat it without the lid. Step 2: Put half chopped onions and sauté it. Add one tablespoon chopped ginger and garlic and mix it well. Silt one green chili and put it in the cooker and sauté it well. Simmer the flame and sauté it well. Step 3: Add the dal (I prefer keeping the dal soaked for 2 – 3 hours before cooking it). Step 4: Mix the dal well, add 3 cups of water and make sure it’s mixed evenly. Step 5: Cover the lid and cook it for 4 whistles, your Indian protein punch is ready. Step 6: You need to make tadka so that it taste’s well. So, take a kadai and add one tablespoon cow ghee on it, once the ghee is heated and melted add the cumin seeds. Let the Cumin seeds crackle a bit. Add One inch Julienne ginger followed by 4 cloves crushed Garlic, dried red chili, Half teaspoon Red chili Powder, half teaspoon garam masala, a pinch of hing and a few curry leaves. Sauté it nicely and once the tadka is ready, add the cooked dal to the tadka, put few drops of lemon juice and mix it well. Your Protein rich Indian vegetarian food is ready to be served. You can serve it with chopped coriander leaves to make it taste and smell good. 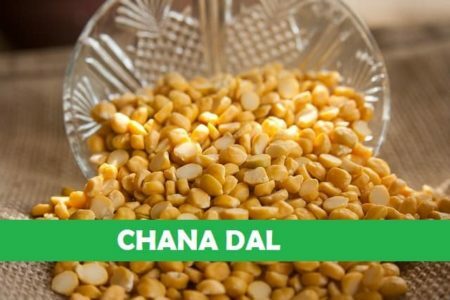 Similar to other members of Dal Family even Chana dal have high protein contents. Each 100 grams serving of Chana dal gives approx. 20g of protein. And similar to other dal’s, you can use or implement this by consuming it as a dal. To make this high protein Indian dal follow below steps. Step 1: Put the dal in a cooker and add 2 and a half cup water. Cover it with the lid and cook it up to 3 whistles. Note: I generally soak the dal for 3 hours in water before pressure cooking it. Start by adding 2 tablespoon cow ghee followed by putting One and a half teaspoon jeera, two finely chopped onions and One teaspoon ginger garlic paste. Cook until the onions are golden brown. Now put 4 medium sized chopped tomatoes, keep sautéing it for 2 minutes. Now add Salt as per taste, half teaspoon red chili powder and half teaspoon turmeric powder. Mix it well and cook until the tomatoes are nicely cooked. Add some chopped coriander leaves and mix it well. And your Protein rich Indian vegetarian dish is ready to be consumed with high protein chapattis. Remember, the key to lose weight or gain muscle is to limit the carb intake. If you are consume high protein food and also giving your body, high carb supply then mostly likely you will ruin the whole process sooner or later. 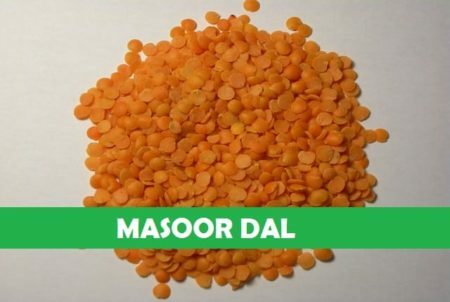 While Masoor dal is low on protein count as compared to Black Urad dal or Chana dal, it can still be extremely beneficial. Aids weight loss by keeping you full for long duration. For each 100 grams served you can expect approx. 6g protein. Best time to eat: You can have it at lunch or dinner. In India it’s extremely common to hear the term “bajre ki roti”. I am sure even you may have heard of it at some point of time in your life. The irony is we just hear it and forget it. 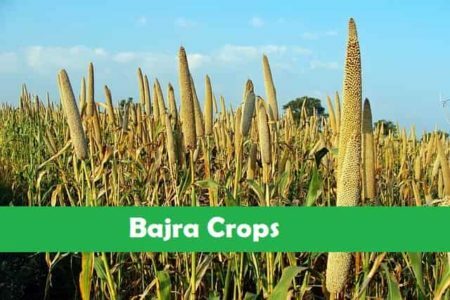 If you ask yourself why bajra? You will get answers that will truly transform your diet. Apart from Proteins, bajra is extremely rich in Niacin and has the tendency to lower the cholesterol. Including Bajra in your daily diet makes an excellent choice especially if you are following a high protein Indian vegan diet. Consumption of bajra promotes weight loss, protects heart, boosts metabolism, detoxifies liver, Improves digestion and provides high quality fiber that keeps your gut happy. 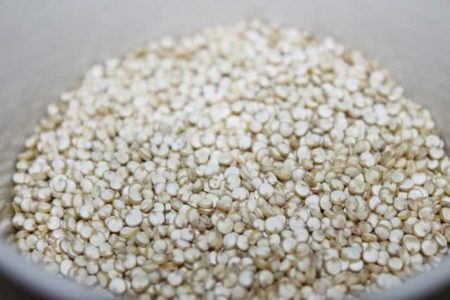 Just like other grains, bajra too has tons of potassium, magnesium, manganese, iron, multivitamins and essential amino acids. Best time to eat: Breakfast/Lunch/Dinner. How to Eat: It works best when eaten as a roti, Chapatti or Paratha. When it comes to Omega 3 fatty acids, there is nothing better than Flax Seeds (for vegetarians). Since vegetarians cannot consume high fat fish, the only choice for them to get the healthy omega 3 acids is via consuming Flax seeds or Walnuts. There are many other vegan foods too that have omega 3’s but flax seeds and walnuts are the best, as they include the highest amount of Omega 3’s amongst any vegan foods. Apart from Omega 3’s flax seeds are also loaded with proteins. For each 100 grams of Flax seeds you consume, you get around 18g of plant based protein. Consumption of flax seeds not only gives you proteins but it also benefits your brain and nervous system. The best thing about this little seed is that it’s easy to implement in your daily diet. Early morning, you are used to consume oats as a breakfast, then simply sprinkle some flax seeds on it and boom you have a protein rich Indian vegan food for breakfast. 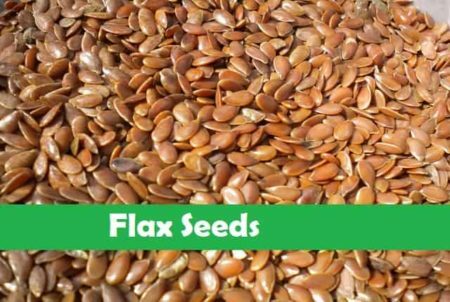 If you eat flakes, again simply sprinkle some flax seeds on it. Likewise, if you are eating a bowl of salad, sprinkle flax seeds on it. There are hundreds of ways you can implement Flax seeds in your daily life, discipline is the key though. How to Eat: Eat is with salads, regular breakfast and by accommodating in your regular diet. Indian low fat Yogurt are an excellent source of protein. 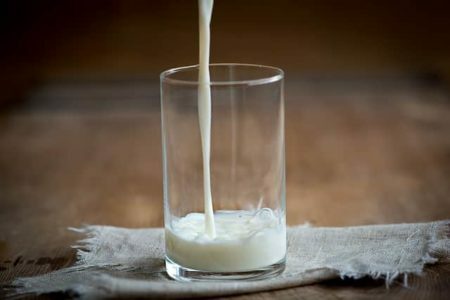 A single glass of lassi i.e. around 250 ml would give you around 22g of high quality protein. 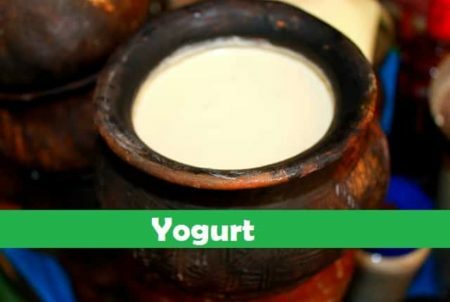 Consumption of Yogurt not only blasts the body with high quality protein but it also strengthens the digestive system and ignites the metabolism. Which means the body’s fat assimilating capacity increases too. Apart from the above benefits, Yogurts are loaded with Calcium, Potassium, Vitamin B complex, Magnesium Omega 3 and 6 Fatty acids. Best time to eat: Any time before the sun sets. How to Eat: Have one cup of yogurt a day with or without food. When compared to other lentils and legumes, chawli has the least amount of proteins. The least is yet 3g per 100 grams served. 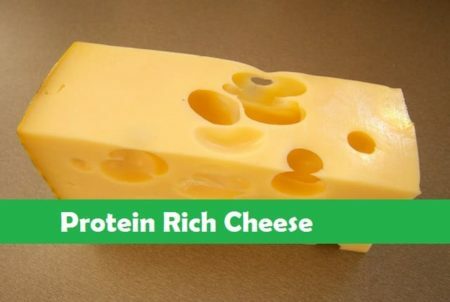 Don’t just look at the 3g of proteins in it. Chawli is much more than just protein. 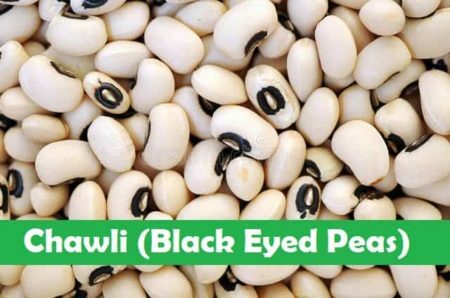 Consumption of black eyed peas provides a balanced nutrition. While it has respectable protein numbers its super high on Potassium, magnesium, Manganese, copper, vital amino acids and essential fatty acids too. Chawli alone may not be able to serve as a high protein food but when combined with high protein supporting dish such as paneer, quinoa or soya the balance of protein shifts by a lot. 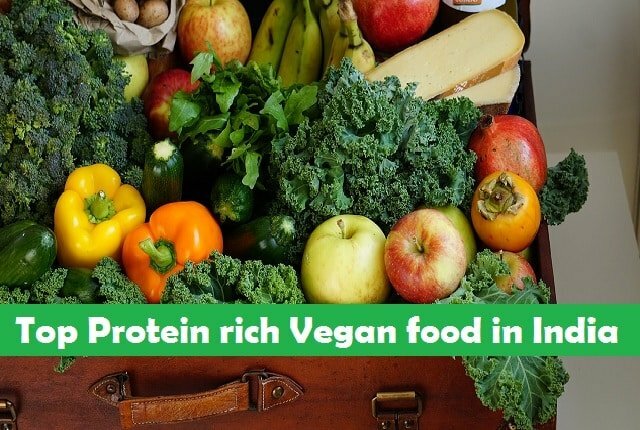 Having said that, since we are looking at the list of high protein vegan food in India it just manages to make to my list. I would say, chawli would be my last option considering the protein intake since I have other vegan food that are high on proteins. Best time to eat: You can have it at lunch and avoid this at dinner. How to Eat: Have it as a sabji for best results. Forget protein, cashews are so tasty every one like the taste and the cheese on the topping is it can be extremely nutritious too. Cashews contain vital Omega 3 fatty acids and vital amino acids, essential for our brains and healthy nervous system. 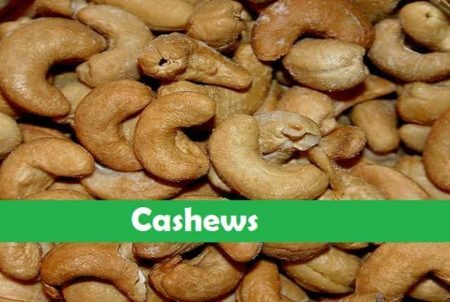 Furthermore, Cashew contain truckloads of Manganese, Copper, Magnesium, Selenium, Vitamin B6, Iron and phosphorus. This may not be your go food for protein but consuming this tasty dry fruit gives approx. 18g protein per 100 grams served. Best time to eat: Eat only as a snack, approx. 3 -6 cloves a day. This is simply awesome, for each 100g of spirulina you consume you get 57g of proteins. 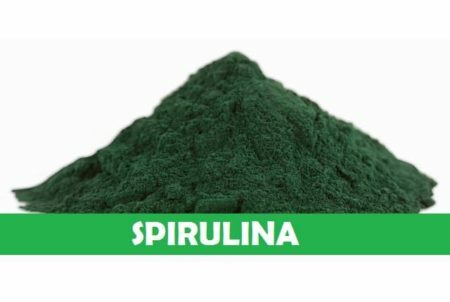 It’s loaded with proteins, nearly 70% of Spirulina is pure and high quality protein. Having said that you should not be consuming 100 grams at one go, the optimum dosage is one teaspoon organic spirulina powder in a glass of water, once a day. So to summarize, if you are seeking an instant vegetarian high protein than this is the go to supplement from the Mother Nature. How to Eat: Half a teaspoon of spirulina mixed in a glass of water..
Lastly we have lady finger, for each 100 grams consumed you can expect approx. 2g of protein in it. Apart from proteins lady finger is extremely beneficial for diabetics and is considered an anti-venom for diabetics in Ayurveda. It’s so powerful that there is actually a remedy based on lady finger to reduce sugar levels. Lady finger soaked in a glass of water becomes an ayurvedic medicine to lose weight and to treat diabetes. Best time to eat: Lunch and dinner. 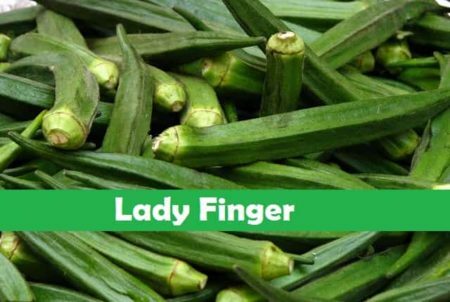 How to include Lady Finger in your daily diet? You can consume lady finger as a sabji or as a snack. I would recommend to have bhindi as a sabji. Since its little low in protein as compared to other food items, to make it protein rich you can use Quinoa or Soy flour roti. To make a simple protein rich Bhindi bhaji you can follow below steps. Step 1: In a Kadai start by putting 2 Tablespoon oil and let it get heated. Step 2: Add one teaspoon Mustard seeds followed by Hing, one teaspoon Turmeric powder and 3/4th teaspoon Red chili powder. Now add chopped lady finger, mix it well. Step 3: Add some kokum to your bhindi. Switching to high protein Indian diet won’t make any sense unless you adopt a holistic approach for well-being. What I mean is when on a high protein diet, try not to give too much carbs to your body and do a brisk walk for at least 50 – 60 minutes if you want to stay fit. For those who are interested in building muscles, go join a gym and follow the same principle of Low carb, High Protein and high fat diet. The positive point about the Indian vegetarian high protein diet is that you don’t get the negative byproducts of non veg such as elevate uric acid, high cholesterol, Over working kidneys and so on. These are easy items which are easily available. Thanks Divya for stopping by and reading the article..
Food is always primary for living, But choosing the right food for our health is always a big problem. 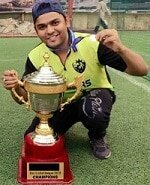 Form this article i learn many things from your blog. Thanks Nikhil for stopping by and reading this article.